Today negative ionizers, once sold as health devices, are marketed exclusively as air purifiers. In the last decade a new "dual polarity ionizer" has come to market, emitting BOTH positive and negative ions. Examples include Sharp Plasmacluster, Winix Plasmawave, and Fellowes Plasmapure. Here we are NOT focused on these dual polarity plasma streamers, this page concerns negative ion-only air cleaners, such as the Wein depicted below. Back in 2005, Ionic Breeze was sold with an infomercial blitz, controlling nearly half of the "air purifier" market. Ionic Breeze and many imitators were driven off the market by what I call the "ozone panic of 2007." Most examples of what are improperly called "ionizers" have collector plates and are actually electrostatic precipitators. Consumer Reports created much consumer confusion when they labeled a whole class of ozone-emitting electrostatics as "ionizers," with the implication that ALL "ionizers" create ozone in equal quantities. Many simple ionizers are add-ons to inexpensive HEPA air purifiers. With so many buyers looking for air purifiers with ionizers as advertised on TV, builders want to tack a cheap ionization needle on every appliance. Now anything electric can be an "air purifier." We are starting to see air-conditioners, humidifiers, fans, and dehumidifiers with negative ion generation added. I was not surprised to discover battery powered negative ion air purifiers for people to wear around their necks, but I didn’t know special air purifiers with ionizers were being marketed just for dogs to wear! Hold up a minute, an air purifier for dogs? Yep, NOT a gag, actually for sale. Got thirty bucks you don't need? I'm sure your dog will be grateful. I bought a copy of "The Ion Effect", by Fred Soyka, in the late 1970’s. It popularized studies, done mostly in Russia and Israel, about the health and behavioral effects of negative air ionization. I was hooked. I found a magazine ad and mail ordered a little 8 pin tabletop air ionizer. It ran by my bedside for a couple of years, fascinating me with the blue glow it emitted. As the emitter pins wore down, and the blue light grew bigger, the air near it seemed to irritate my nose, so no replacement emitters were ever ordered. Little did I know that blue glow was toxic ozone. Ions are airborne or aqueous molecules that take on an electrical charge. A natural setting would have a few hundred to a few thousand ions per cubic centimeter of air. Ionized particles are either negatively charged or positively charged. Above a grassy field, the ratio is closely balanced between negative ions and positive ions. Every time we inhale air, we breathe in electricity. Airborne negative ions are highest at the beach, in the mountains, in the country, in pine forests, near waterfalls. Ionization is one reason why we love these places. The negative ion count is usually low in urban areas where particulate pollution flocculates (a process of sticking together by electrical attraction) them out of the air, ditto for high pollen. According to the research summarized by Soyka; when air becomes ion-depleted or unbalanced to the positive side, health effects are noticeable. Positive ions worsen asthma symptoms, and negative ions are a key constituent of clean, healthy air. Low indoor negative air ionization levels are extremely common because of positively ionized computer screens, TVs, appliances and electronics. The metal ductwork of A/C systems strips electrons, creating a pos-ion surplus, especially in winter. Negative ions are extremely scarce in urban air, along interstate corridors, and where industrial particulate air pollution is heavy. The particle flocculation process settles all the small neg ions to the ground. So the ionizer air purifiers market got started on the basis of health claims, rather than air purification evidence. In the 1960’s the FDA began to regulate vendors making health claims, and builders were forced to push the air purifying aspects of the technology. An ionizing air cleaner consists of an emitter, often a protruding set of up to 25 needles, which imparts a negative electric charge to the air. Some purifier ionizers have brushes to reduce corona discharge, arcs and sparks, and therefor ozone. Voltage as high as 5000 Volts DC is employed. Positive charges are absorbed by the ionizer air purifier's electrode leaving only negative ions in the exhaust. This creates an electrostatic attraction among particles and causes them to flocculate into clumps too heavy to remain suspended. These clumps fall to the floor or stick to the purifier, and whatever else is close. Some ionizing air purifiers can remove particles as small as .01 micron from the air temporarily. Many models don't have a fan, and since negative ions expire after 30 seconds, these air ionizer purifiers project negative ion levels only about 3 feet. Even with fans, needlepoint air ionizers may only service a seven foot radius. Ionizers vary widely in actual air ion production, and purifying performance declines over time. Composition of emitter needles varies, and cheaper needles oxidize and erode away more rapidly. Many ionizer air purifying models are designed to sit on the floor, which is incorrect. Since ionizer air purifiers work by a settling process, they perform best from a top shelf or bookcase near the ceiling. Another type of air ionizer purifier employs radio ionization. Radio ionization uses a specialized radio wave that ionizes the air for up to 50 feet, through the walls. Vendors claim this technology can flocculate particles in adjoining rooms, such that multiple purchases are not required. I have never seen evidence that radio frequency ionizer technology works, and is safe, but will keep my eyes open. Until then it’s going in the not ready for prime time bin. The main advantage of the ionizing air purifier is quiet operation because there is no resistance to air flow and no fans or filters. They can be left running when and where HEPA units are usually off. Most have no pre-filters or other expensive filter media to replace. Low electricity consumption rounds out the value proposition. These advantages have made good marketing copy for five decades. So what could be wrong with a product that’s both healthy and clean? For starters, an air ionizer type purifier removes particles from the air, not from the room. Particles land up on the floor, or temporarily stuck to walls and furniture. When atmospheric conditions change, particles lose their charge and detach from surfaces. Then air currents pull them back into the air. A possibility is that when an ionized particle is inhaled, it is more likely to stick to respiratory passages. Ionizers and most electrostatic precipitators produce ozone as a by-product, but output varies by model. Ozone is the blue gas responsible for the coronal discharge aura on early model ion generators. While writing this page, it occurred to me to repeat an experiment that hadn’t been done for a few years. Another cheap air ionizer I bought ran in the cab of an over-the-road 18 wheeler, just about the dirtiest place, air quality wise, in the USA. That air purifier gave me a “noseburn” worse than breathing diesel exhaust. So I decided to get one of my little Holmes HAP-242 filters, which has a four pin ionizer that I never used, and run an ozone experiment. And you said guys in their 70’s never have any fun! I pulled the paper HEPA filter and polyester prefilter off, vacuumed the interior, and turned my little Holmes into a plain ion generator. I set it on my desktop with the fan on low. Within about 10 minutes I felt the old familiar improvement in mental function, alertness, and optimism. It was past bedtime, but my fatigue vanished, just like it always did before. After about an hour I had a lite headache, very rare for me. Soon my nasal passages burned and my eyes itched. Can’t, this is a scientific experiment. Later I awoke with a noseburn, damage to the lining of the nasal passages well back toward the throat. Not the kind of noseburn you get from sleeping in the middle of 1,000 idling big trucks on a dead-still cold Ohio night, but definite evidence my toy air cleaner was putting out ozone and probably oxides of nitrogen. This the result of large, blunt macro pin emitters, the fine wire and carbon fiber brushes found on quality room ionizers do NOT do this. Some electronics manufacturers have announced production of low voltage (1,800 Volt DC) negative ion emitters. These use roughly 1/2 the voltage of current units, producing less than 0.01ppm ozone. At the same time, the Federal standards for ozone, now set at .050 parts per million, are so lax that new ionizers can make some serious ozone. 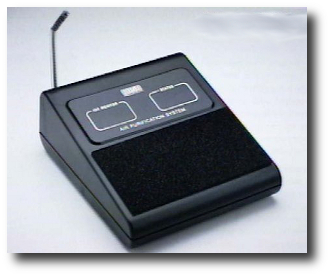 Prior to the FDA suppression, there were hundreds of tabletop ionizers available. Wein VI-2500 High-Density Ionic Air Purifier at Amazon.com.